Forum Home > Parts Info, Tech Tips and Tinkering > Cousins are having a laugh! On my recent order from Cousins UK I ordered part number EC0060B0A Gasket(s). I received ONE solitary gasket, this is extracting the urine of the highest order! I have asked before on the forum but will ask again. Anyone want to get involved in a bulk order as Paul ( Mr 7a38 ) did a few years back? If I were to source all the gaskets I require from Cousins, the cost would be in the £100's. I'm on the point of running out of a couple of them - and willing to help others make up another bulk Labanda order. Maybe we could push the boat out and add on some 7Axx crown seals, p/n EC0060B01 this time. and their current prices are $6.50 (AU) for a pack of 5 Flat Seals and $9.00 (AU) for a pack of 10 Mini Seals. That's a considerable increase on what we paid two years ago - $4.50 (AU) and $6.00 (AU) respectively. On top of that, we'll need to add postage (it was $20.00 AU last time) and factor in the 20% VAT to be added. 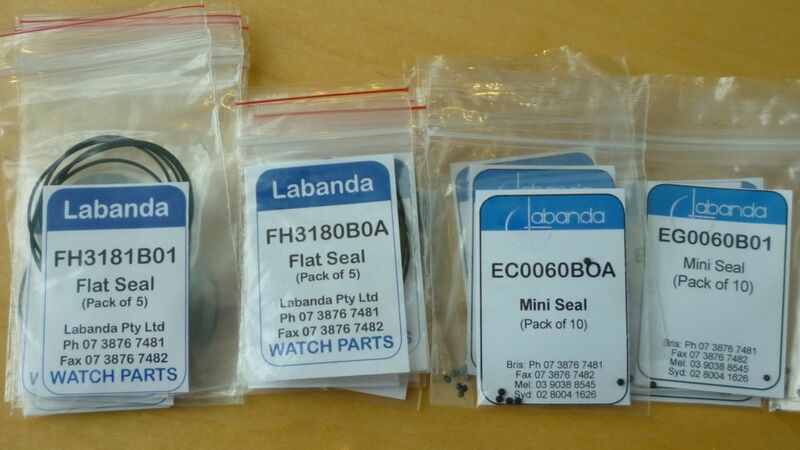 Thanks Paul, I will be after pusher, crown and caseback seals for 7A28 and 7A38 normal and sports versions. Possibly best leaving until the New Year to steer clear of the Xmas post and this will give others a chance to join in. Please let me know when and we can arrange an order. Your suggested timing was exactly what I was thinking, Chris. Let's just hope that Labanda don't put up their prices again (from January 1st) in the interim. I think this is a good idea and I would take part in it. At the moment I do not require anything. I think if this was organised that we could do bulk orders. How we all coincide with each other may be a different story. There is NOTHING stopping anybody 'doing their own thing' whenever they want to. I'm pleased to say that our little 'toe in the water' joint exercise has subsequently proved rather fortuitous. .... Labanda Pty. will be dropping their minimum order value to $10Au. What a result eh ? So now you know where to get your gaskets from.